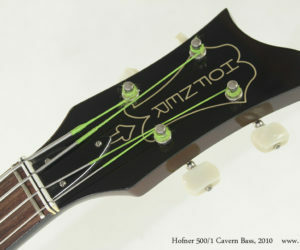 The Hofner 500/1 Cavern Bass is a reproduction of the first 500/1 purchased by Paul McCartney in 1961 and is named after London’s Cavern club, where so many bands played. Some went on to become great, others – not so much. McCartney used his Cavern bass while recording ‘Let it Be’ and ‘Revolution’.